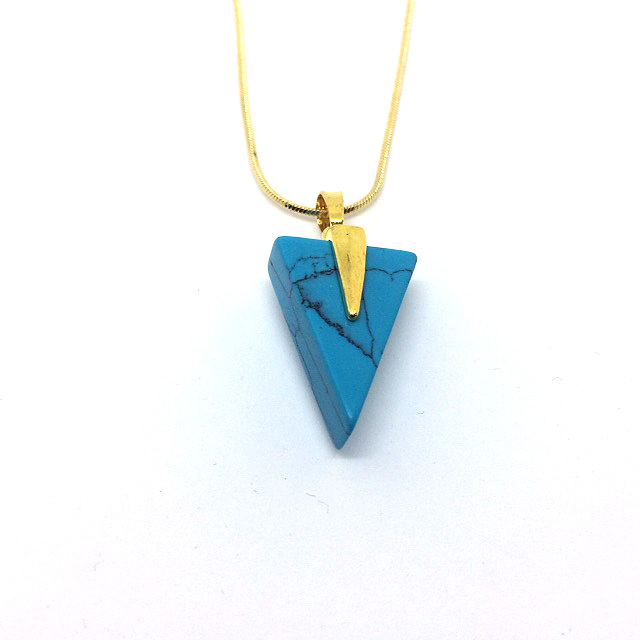 This simply stunning Turquoise Arrow Pendant is stylish and unique and has been lovingly handcrafted in our studio as part of our Boho Luxe jewellery colelction. It looks great day or night and makes the perfect gift for her. Featuring a beautiful natural turquoise gemstone this necklace is finished off with a quality gold filled chain, measuring approximately 16″ (with the turquoise gemstone measuring approximately 1″). Different chain lengths are available upon request – please contact us. Turquoise has a long history in jewellery and has been used as a protective stone since ancient times. It is also the birthstone for December – making it a perfect birthday gift!